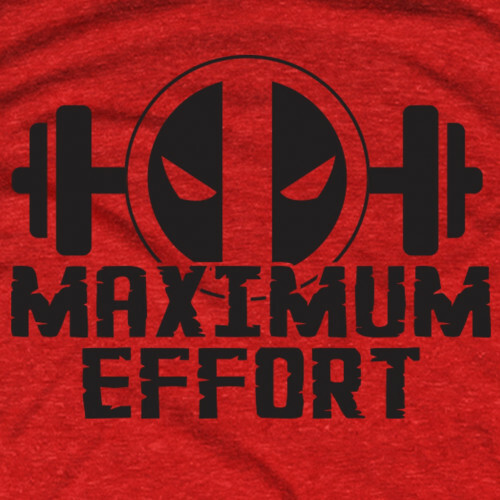 Deadpool doesn’t do anything at half speed, why should you? The Deadpool Maximum Effort t-shirt from Guerrilla Tees will look and feel great while blasting though workouts, and is equally suitable for wearing to the bars, parties or while lounging around the house. 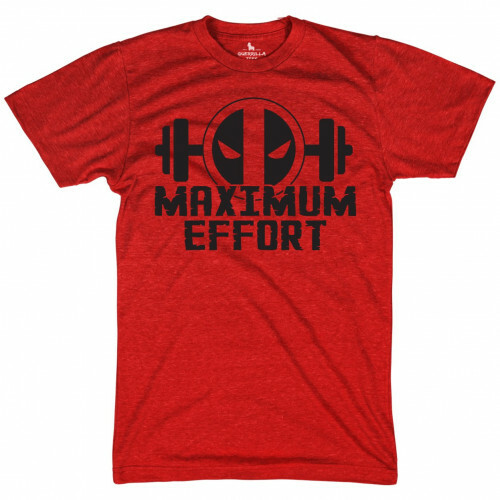 It comes in deep black with red and white graphics, featuring the Deadpool mask and the phrase Maximum Effort. 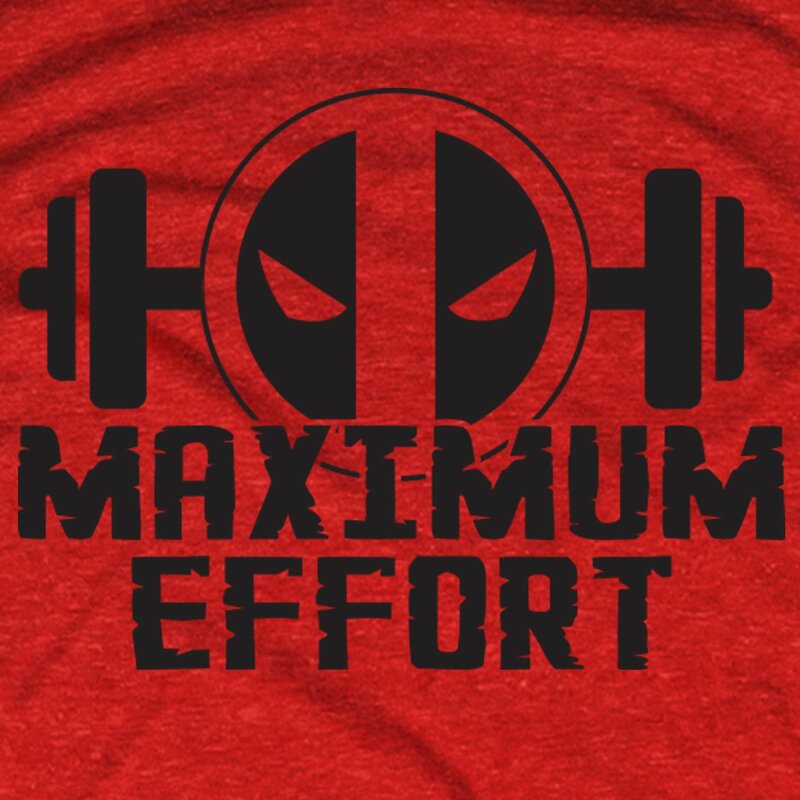 Be sure to check out our full collection of TV and movie graphic tees for more ideas.